Does physician leadership matter asks cardiologist and author Dr. Sandeep Jauhar in his NYT opinion piece “Shouldn’t Doctors Control Hospital Care?”. He opens his piece with the termination of the elected leaders of the medical staff office at the Tulare Regional Medical Center due to poor performance. He answers his rhetorical question with the obvious and simple response that doctors should control hospital care. Though he cites physician led and well-respected health care organizations like Cleveland Clinic and Mayo Clinic as examples of this, his conclusion begs a different question. Doctors in the past were in control of hospital care, so why the shift to businesspeople running hospitals? The issue lies in the false dichotomy Jauhar and others often create by asking whether physicians or businesspeople should ultimately be responsible for hospital care. A more complete answer would be the importance of physicians leaders embracing both medical and business perspectives. Today, it takes more than a medical degree to lead a health care organization. Physician leaders must embrace the new expectations of doctors, patients, and purchasers. Insurers, regulators, and employers demand more transparency on quality outcomes, preventive testing and screening rates, as well as costs of tests and procedures. Data needed to be collected, analyzed, and reported. Process improvement plans need to be implemented to close care gaps. Patients, who decades ago would have died or survived surgery now recover but are more complex with more co-morbidities and illnesses. The clinical care needed requires a multidisciplinary team-oriented and systematic approach. With all of these demands, doctors and staff are facing epic levels of caregiver burnout and stress. Is it possible that physician leaders delegated these challenges, reporting, process improvement, and management tasks to businessmen? Doctors went to medical school to be clinicians and care for patients. Even today, medical school education is essentially unchanged from decades ago. Few schools offer the business training and mindset needed to enter this new era of higher expectations of improved access, better quality at lower cost with increasing levels of physician and staff disengagement. Is it possible that since few physicians had an interest, desire, or training in these areas that businesspeople consolidated more power? Yet businesspeople don’t understand medical care anymore than physicians understand the science and discipline of business. Often both camps don’t respect enough the other’s unique language, perspective, and focus to solve the common issues. This has to change. Despite caricatures in health care, there are mission-driven charitable businesspeople and greedy unethical doctors. Many great clinicians don’t aspire to become physician leaders. Yet, partnering and helping businesspeople understand our challenges, embracing the science, perspective, and discipline of business to solve problems, and overcoming these biases and obstacles are the keys to success for organizations like the Mayo Clinic, which Jauhar highlights for excellence. Doctors at Mayo Clinic are expected to take on leadership responsibilities during their time there, work collaboratively with businesspeople, and still be practicing clinicians. As noted in Management Lessons from Mayo Clinic: Inside One of the World’s Most Admired Service Organizations , “physicians must distinguish themselves in their specialties before assuming leadership roles… [leaders] are asked by their peers to make a sacrifice for the good of the Clinic. Yet by taking on these roles, most of these leaders “confess they have a sense of loss as a result [of sacrificing at least a part of the clinical and academic careers they have already established.” However these chosen “reluctant” leaders are precisely the ones needed to make Mayo so successful. The organizational culture at Mayo is such that “if physicians appear conspicuously ambitious for high positions in leadership, their chance of rejection is high.” In addition, physician leaders are supported by administrators who also “must be team players” and who are willing to join the Clinic even though “the top positions all go to persons with the title of ‘MD'”. A recent article in STAT – Not even the mattress pads were spared: An inside look at a Brigham and Women’s Hospital’s struggle to cut costs highlights the skills needed for physicians leading hospitals. It is about trust and understanding the needs of doctors and staff. When CEO Dr. Ron Walls faced a shortfall of tens of millions of dollars, his team reviewed expensive assets like ORs and MRIs to see if they were being used effectively. Though surgeons were seen as the “key power center of the hospital” and OR schedules were considered so sacrosanct that hours are written into employment contracts, Walls and his team wondered if they could improve on the OR utilization which ran in the low 70 percent range. This meant that a significant number of OR times were staffed and available, but unused because cases were not scheduled. To maximize OR access and with support of Brigham’s chair of surgery, individual surgeons agreed to give up unused reserved block time 10 days in advance for other surgeons to use. In return, they were guaranteed that they would also have access to the OR at the last minute. This change required a level of trust that comes only from physicians leading physicians. A couple months later, ORs were running at 85 percent capacity. The number of surgical cases increased, patient access to the OR improved, and the hospital closed its financial gap. To serve, to heal, to do right by our patients, and to bring compassion, dignity and humanity to health care. Jauhar was partially right. If physicians wish to maintain our autonomy and professionalism, then we must embrace the importance and role of physician leaders. Physicians must lead and control hospital care. However, they will need to embrace the duality of both the science and discipline of business and medicine if they are to be successful. 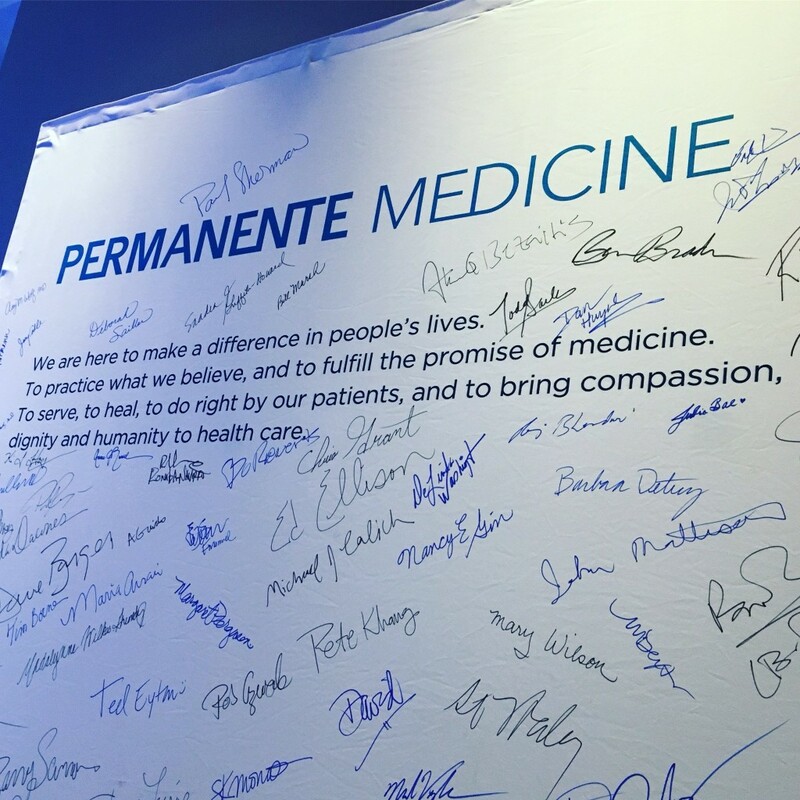 Like the physician leaders of Mayo and Permanente, this is an added burden, responsibility, and sacrifice past and current physicians weren’t necessarily trained or expected to do. Yet, no one else is better suited to make the changes needed to make care better, more affordable, accessible, and improve professional satisfaction than physician leaders.